aren’t we trying too hard ? Ce titre est l’inédit présent sur le Greatest Hits. Björk avait écrit ce titre pendant la conception de Vespertine, comme l’atteste sa présence dans une version Démo sur un CD qui a circulé sur internet avant la sortie de Vespertine. À l’époque nommé "Our Hands", ils dispose d’une fin plus énergique. Björk a interprété ce titre sur le Vespertine Tour à la fin de chaque concert, dans une version live proche de la démo. ...she closed the show with the B-side "Our Hands," reminding New Yorkers of the fragile state of their city and leaving them both empowered and thought-provoked : "Aren’t we scaring ourselves unnecessarily ?...It’s in our hands, it always was. ..the happiest surprise is the new song, "It’s In Our Hands", which confirms that, at 37 and after twenty-five years of creating music, Bjork isn’t giving up anytime soon, which is music to all her fans’ ears ! It’s minimal, it’s got squelchy beats and there’s a gentle twisted angel enunciating each word exactly in a bizarre idiolect... it must be the new Björk single. 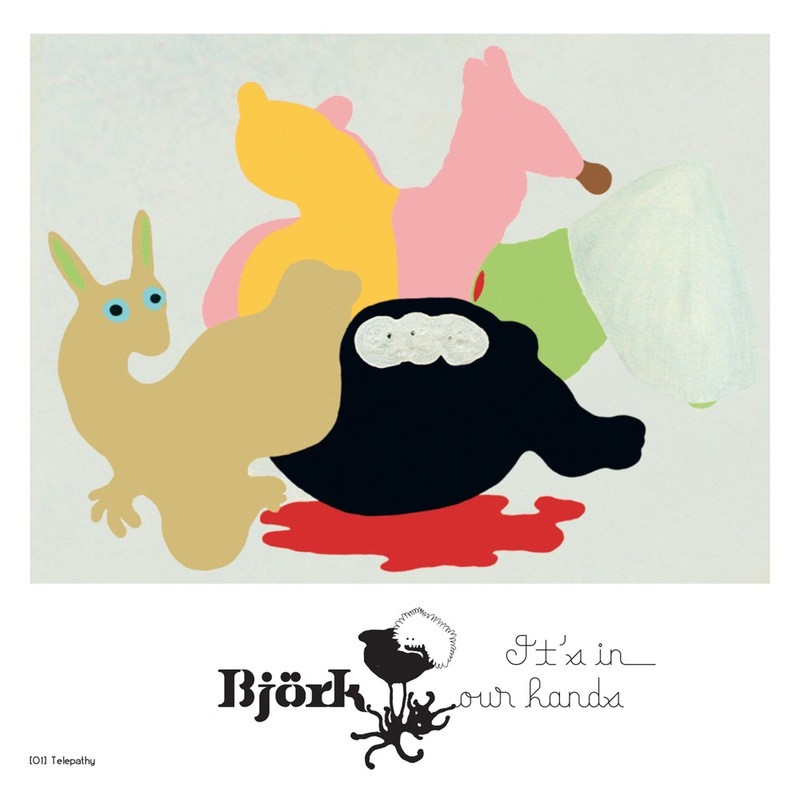 Following the release of her ’Greatest Hits’ and the stunning box set ’Family Tree’ Björk releases the single ’It’s In Our Hands’ on November 25. Another bold leap into the unknown, ’It’s In Our Hands’ fractured rhythms and startling melody support a characteristically individual message : it’s in our hands, it really is. The single, produced by Björk and Matmos’s Drew Daniel, comes in 2 CDs, a DVD and a 12". The DVD features the magical video directed and shot by Spike Jonze (Fatboy Slim, Beastie Boys, Being John Malkovich) in which Björk wonders through a wonderland of giant plants and flying fish – as sublime a four-minute fantasy one might imagine when two singular talents as these collaborate. CD2 and the 12" features the electro mix by Soft Pink Truth, which has proven popular at both club and radio. And spread across the other formats are live tracks taken from last year’s groundbreaking Vespertine tour and a version of So Broken performed on Later With Jools in 98.